I ordered 3, and they are awesome, both huge, and hot red. I'm ordering one more. Speedy delivery, but Gift presentation poor. With shipping, I spend about 50 $ per plant for the amaryllis, delivered to 4 people. Half of my recipients found the presentation of the gift disappointing. It just arrives as a bulb with dirt! No photo, and idea what it was going to look like. In fact, they were shocked I sent it. Suppliers, you need to please supply a beautiful PHOTO of what the bub will become in flower! This makes the recipient feel like there is HOPE! I bought this for the flower, and at Christmas time people need pretty pictures of perfection, even if they will need to get their hands dirty while planting. With stunning photographs online and in your catalog, the company could do better with its presentation. This is a gift, after all! Christmas gifts fell to me after my wife's strokes, and I am miserable at shopping! I sent 11 Amaryllis as gifts but was unprepared for the overwhelming response. Most people called to thank us, and also sent email progress reports as well as pictures. 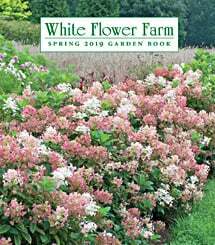 A nice benefit for the Miserable Shopper is White Flower Farms' practice of maintaining the names and addresses of last year's recipients. Thus, I have assurance that our gifts will be appreciated and valued with a minimum of effort on my part. Still waiting for the bloom! I bought amaryllis for 3 friends and one for myself this Christmas because I was given a White Flower amaryllis last year and it was breathtakingly beautiful. HUGE and COLORFUL I put my amaryllis in a sunny spot which, as it turns out, must not have been warm enough since it did not sprout. I moved it to a warmer, less sunny spot and now have two shoots. I fear this amaryllis will be nowhere nears as spectacular as the one I had last year. I hear from my friends that their amaryllis are about to bloom but no action as yet. Great service and bulbs are beautiful!